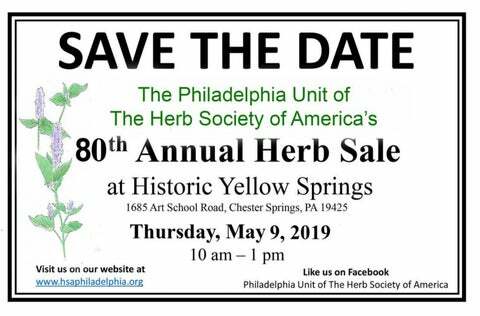 The Philadelphia Unit of The Herb Society of America will hold the 80th Annual Herb Sale at Historic Yellow Springs, 1685 Art School Road, Chester Springs, PA 19425. Herbs, vegetable plants, scented geraniums and salvias will be on sale. 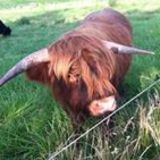 The boutique tent will feature herbal specialties, jams, note cards, baked goods, and a few surprises. Details for the herbal brunch at: www.hsaphiladelphia.org/herb-sale-2019.